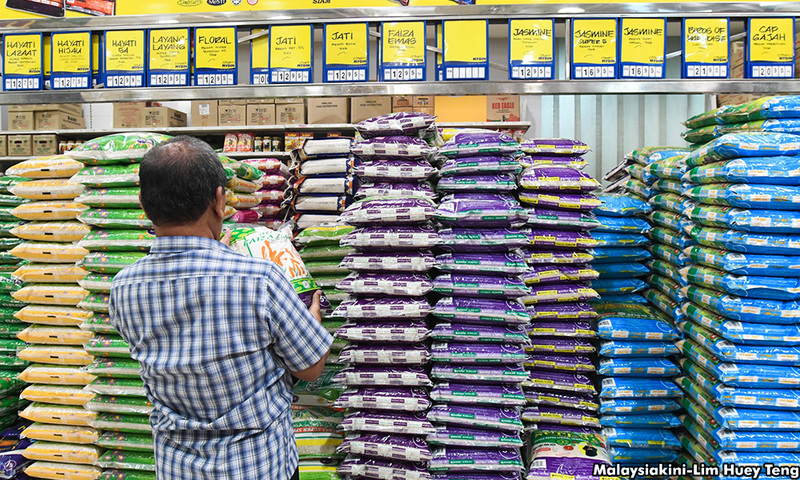 The Malay Rice Millers’ Association of Malaysia has urged the government to be more concerned about their plight, especially being forced to deal with the monopoly of Padiberas Nasional Bhd (Bernas) in the sector. Its president, Mohamad Termizi Yop, said that, of the 203 mills which were operating prior to this, only 15 were still operational in Perak, Kedah and Perlis. He said that the Malay rice millers who were still operating, however, faced various issues including being shackled with debts with banks and Bernas, in addition to dealing with court actions from Bernas for failing to settle their debts. “Private rice mills sell rice to Bernas at RM2,000 per tonne while the cost borne by the mills is RM2,080 per tonne. We suffer losses and are forced to borrow to continue operating. “The situation of the rice millers is getting worse following the issue of the Bernas monopoly... we propose that a special neutral committee be set up to ensure the continuity of the mills," he told a press conference in Alor Setar. Mohamad Termizi said the government also needed to investigate transparently and in detail matters related to the issue of the Bernas monopoly which was seen as oppressing the other millers. He said a special programme also needed to be created to help and revive the bumiputera rice millers for the sake of the continuity of their operations in the long term. On Jan 22, Agriculture and Agro-based Industry Minister Salahuddin Ayub said the government would not be hasty in deciding over the issue of monopoly as Bernas' contract with the government would only end in 2021. He said the cabinet had agreed to break the Bernas monopoly and a special committee, chaired by the Economic Affairs Minister Mohamed Azmin Ali and comprising eight ministries, was trying to draw up a new model to replace Bernas.